The term alchemy refers to a number of diverse practices around the world. Some are largely chemical, although they often also have at least a philosophical component. Some forms, particularly intellectual Western alchemy, also have a strong theological component. Western alchemy is generally considered a part of occultism because it seeks information beyond what is immediately obvious. Among intellectuals, alchemy was primarily a spiritual pursuit. Stories of such things as transforming lead into gold were meant as metaphors, not literal pursuit, although some alchemists probably pursued both, believing that understanding how to transform actual lead into the gold would give them the knowledge to transform a spirit into a refined, enlightened one more in tune with the divine world. This understanding of alchemy was heavily influenced by Hermeticism. There were also charlatans who promised nothing more than a get-rich-quick scheme. For a fee, they would theoretically transform lead into gold, but in reality, would skip town before they could be called upon to deliver. The most well-known goal of the alchemists is the transmutation of lead into gold. ​The element of lead was seen as the basest of the metals, as it was dull, ugly, easy to come by, and malleable. In elemental terms, it bore a great amount of earth, the most inferior of the four elements. It was also associated with Saturn, the most negative of the planets, which represented things like depression and general sluggishness. Gold, on the other hand, was considered the most perfect of all the metals. It is difficult to come by. It is pleasing to the eye. It's brilliant color and shine ties it strongly to the Sun, the most positive of the planets, burning with the life-giving, fiery light of God. It is neither overly stubborn (like iron) nor overly malleable. Thus, transforming lead into gold was analogous to transforming the common human soul into something more refined, rare and enlightened. This need for refinement is a result of the Fall, of the separation between humanity and God that happened when Adam and Eve first disobeyed God in the Garden of Eden. God created humanity as perfect, and in the beginning, ​humanity lived in harmony with God. But after the Fall, separation happened. Sin entered the world. Those who wished for a deeper connection to God would need to actively pursue it, rather than it being a natural condition. Alchemists often talk of the soul having been divided by the Fall. Only by purifying those parts and bringing them back together, of finding that divine spark within oneself and accepting it as a part of their existence, can one be reunited with God. Alchemy uses many complex allegories and imagery to convey various concepts within the practice. One common theme is the Red King and the White Queen. These two figures can represent a variety of concepts and a variety of approaches to those concepts. Commonly they are associated with sulfur and mercury, which have their own specifically alchemical understanding and are seen as basic chemical building blocks. 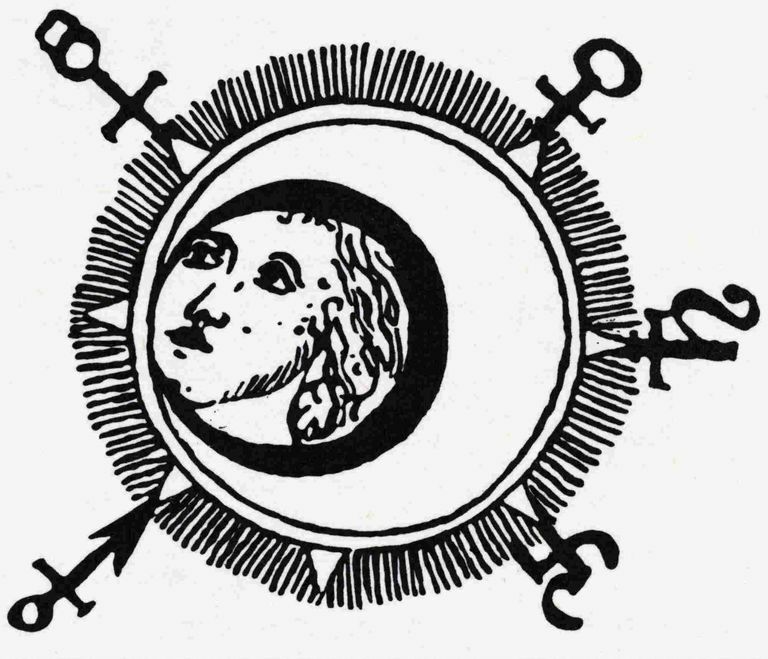 They are also associated with the Sun and ​​the Moon and with general male and female principles that are common throughout the western occult tradition. The two figures are also equated to two processes within alchemy: Albedo and Rubedo, or whitening and reddening. The Red King and White Queen are often shown as being married, because of that concept of bringing halves together to form a complete whole. The goal of alchemy cannot be accomplished without this joining together.